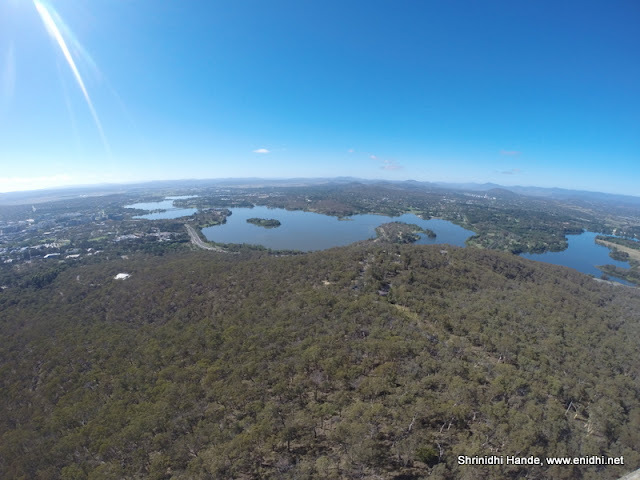 Home / Australia / photos and videos / Travel and Living / Telstra Tower, Canberra, Australia: View and experience! 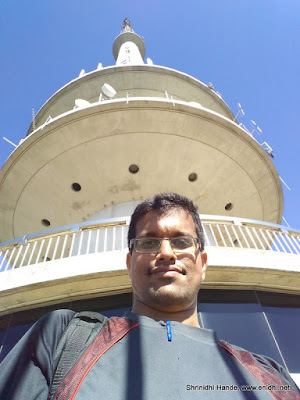 Telstra Tower, Canberra, Australia: View and experience! 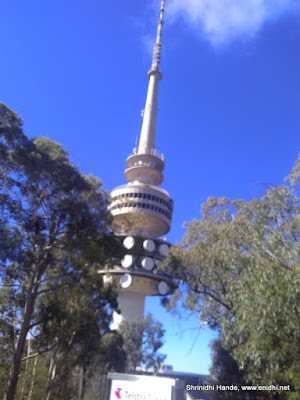 Telstra Tower is the tallest view point in Canberra, Australia's National Capital Territory. Visitors can go to top of this tower for a fee of 7.5 AUD and get 360 degree view of the Canberra city. During my 5 hours stopover at Canberra enroute to Sydney, I visited this Telstra tower. This post brings you the pictures and related details. The Telstra tower is located far from city, on black mountain. The taxi expense far exceeded the entry fee. I spent about 25 AUD one way in taxi fare. There was a bus bay, but didn't see any bus during my visit and taxi ride from city and back. So if you can manage to find bus timings and get on one, then I guess you can save 40-45 dollars outright. (ACT needs different travel card, Melbourne's MyKi or Sydney's OPAL card won't work in ACT. You will need MyWay card in Canberra) I ended up spending 50 AUD on transport, one of the most expensive rides during my Australia visit. The taxi driver whom I hailed to reach the tower offered to wait till I come back, for no extra cost. Else if he had put the meter on, for 30 min it would have amassed another 30+ dollar in waiting fee. So factor travel cost seriously while planning to visit Telstra tower. The revolving restaurant: Telstra tower has a revolving restaurant but is currently closed till further notice. The tower is 192 meters tall and observation deck is at 62 meters. 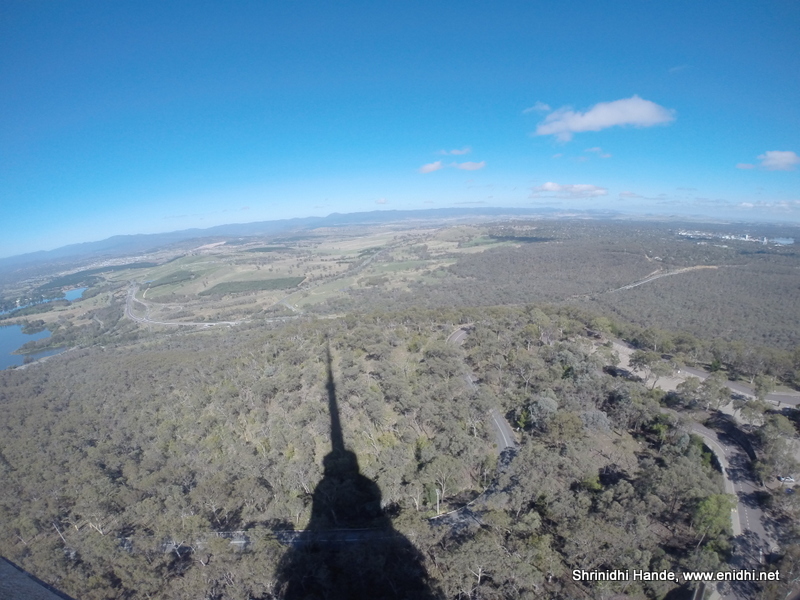 As the name suggests the tower is operated by the telecom company Telstra for its communication purposes. It was commissioned in 1980. Entry fee is 7.5 AUD for adults, discounts applicable for family and children. Telstra tower is open to visitors from 9 AM to 10 PM all days. 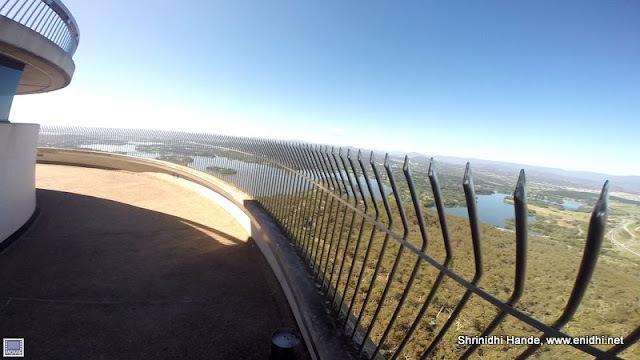 Besides the view from top, visitors can watch video on the history and construction of the tower and other generic information. Viewing is facilitated at two levels- an open platform and an indoor one. Lovely views from the tower top.